In a recent article we referred to the profitability crisis affecting Spanish dealerships that could affect the survival of a considerable number of them. Beyond the figures that show the slim margins obtained, a detailed study of the situation brings to light what seems to be a common error in approach: the almost exclusive dedication of dealerships to the sale of new vehicles, and the trend of abandoning after-sales service and remarketing tasks. However, after-sales service is very highly valued by users and is a factor with significant weight in the brand image: a quality service increases brand prestige and loyalty to the same extent that neglecting it can ruin the good reputation of any firm. These were the conclusions of participants in the recent Automotive Dealer Day, held in Verona, at which Lever Touch was also present: improving after-sales service is one of the biggest and most important challenges for car manufacturers and dealers, and independent operators play a key role in outsourcing this task. We have worked for 16 automotive brands including Audi, Ferrari, Alfa Romeo, Fiat, Citroen and Peugeot. More than 345,000 vehicles have been handled by our technicians, and our work on many cases of damage caused by hail, blizzards and industrial pollution, and in assembly tasks has enabled us to develop a high capacity to cope with peak workloads and mass repairs. 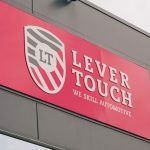 Our philosophy of saving our customers’ time and money has led us to specialize in quick repairs and a proposal that makes life much easier for users: at Lever Touch we take care of personal attention, formalities with the insurance company, providing alternative mobility solutions and repairing the damaged vehicle. The Paintless Dent Repair technique, in which our employees are conscientiously trained, not only makes it possible to reduce drastically the time required to repair bodywork with dents. 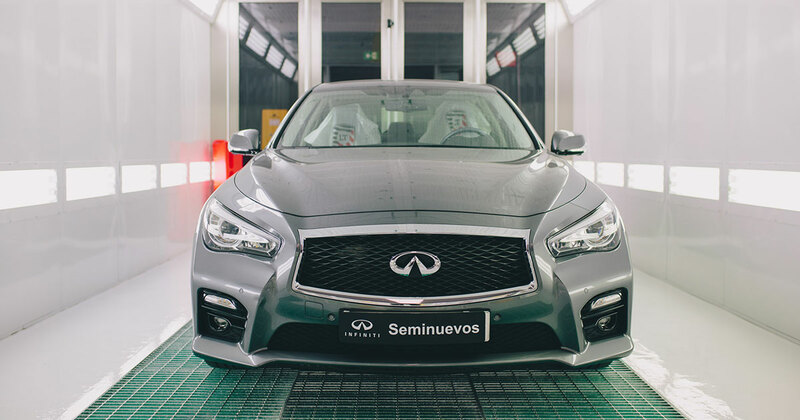 It also means that the intervention on the vehicle is minimally aggressive, restoring bodywork to perfect condition without altering the original paintwork and, therefore, without affecting the manufacturer’s warranty. 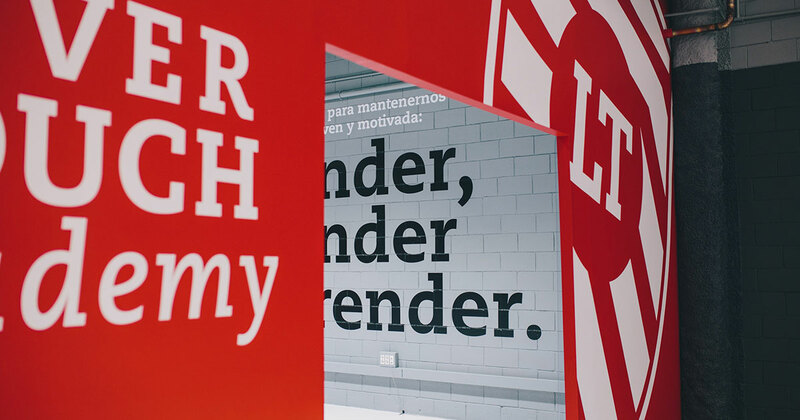 Our company’s efficiency and capacity is based on an extensive structure that includes technicians, repair shops and a training academy, where information flow-through is key. The information flow between Lever Touch employees, and between the company and its partners, customers and suppliers allows us to be a dynamic, flexible and constantly renewing company. This also makes it possible for us to work in our own centres or at the premises of dealerships and repair shops. Lever Touch focuses its work on quality and speed. 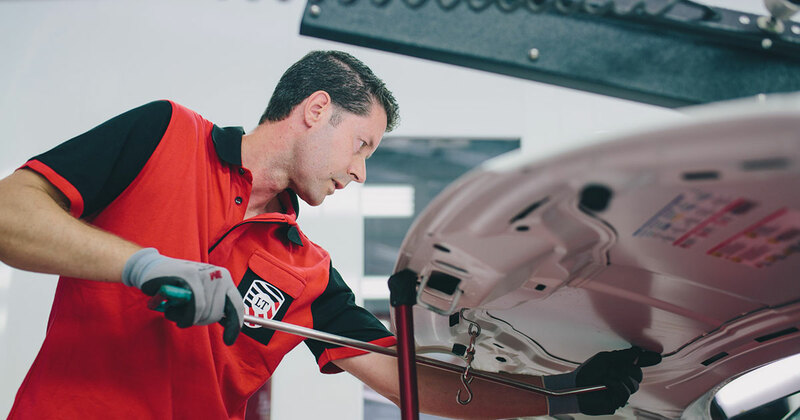 We know the upheaval that having their car at the repair shop represents for users, and through our smart repair service we offer a solution for damage of slight or medium severity in the shortest possible time. In most cases, a period of 24 hours is enough to return the vehicle in perfect condition. The qualifications of our technicians and their skill in the use of PDR techniques and traditional procedures permit the best response in the shortest time. What we have described are significant factors which, in our opinion, support the choice of Lever Touch as a strategic partner for outsourcing an official after-sales service. 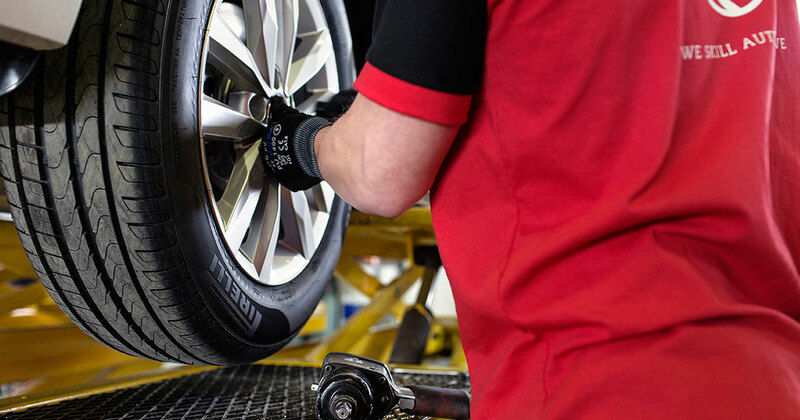 As an independent operator with a proven track record, our company can play an essential role in optimizing the services and profitability of manufacturers and dealerships.